How Will You Earn Income While Traveling? Many RVers are retired and their income while traveling comes from pensions and investments they made long ago. As Randy and I have discovered, a passive source of income is possible at any time of life and financial freedom doesn't have to wait until retirement. Perhaps you're concerned whether your income is enough? Workampers has helped many RVers find suitable temporary employment wherever the road may lead them. Buy the book: Support Your RV Lifestyle. 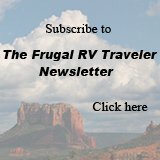 Veteran RVer, Jamie Hall's book, Support Your RV Lifestyle-An Insider's Guide To Working On The Road offers sound, RVer tested advice and countless tips from her own experiences. If a better resource with more ideas on how to generate income while traveling exists, please write to tell me about it. Make money with your blog. If you write a travel blog - Monitize it! Nomadic Matt has been on the road regularly since 2005. He makes $3000.00 a month from his travel web site and shares his secrets in his, Superstar Blogging Course to help you increase your blog's traffic and incorporate income streams. Use Site Build It! to build an income-generating web site. I built this web site by myself using SBI (Site Build It!) It lets me generate passive income while traveling and doing other things like - just enjoying my life. I knew NOTHING about web site building, in fact, I could barely surf the net when I started. If I can do it, anyone can. To me, traveling frugally is fun. So is telling others about it. And having that generate an income for me is just a bonus I had not dreamed of. If you had asked me four years ago what I thought I'd be doing now, I might have predicted that I'd be traveling again but I never thought I'd be supplementing my income, while on the road, with a successful web site that I had developed myself. Four years ago I knew very little about the Internet and nothing at all about building web sites. 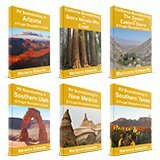 But then I decided to write some guide books about something I was passionate about - frugal RV travel. When I decided I needed a web site, a knowledgeable friend recommended SBI (Site Built It! )She told me it's the best set of web-building tools on the market. I'm still amazed that I created this site myself - every word. If it looks professional, then I have SBI to thank for it. SBI not only showed me how to build a web site but, most importantly, how to build a successful one. For most Google and Yahoo searches related to my topic, my web site comes up within the first two pages listed by the search engines. (You can check that out for yourself.) How did I accomplish that? Through the tools provided by SBI. In fact, my web site is now used as an example of one of many SBI success stories. Follow the above link, and not only will you see my success but that of other RVers who also built SBI websites. SBI is particularly good for RVers who are on the road. Why is that? Your successful SBI-built site will give you a source of "passive" income while traveling that keeps slowly building while you are doing other fun things. It's a fun, portable hobby. Your web site can be about anything - whatever you are interested in or passionate about. With SBI you don't have to rely on anyone. It lets you have total control over the process while you build a very professional web site (one that gets the clicks) without the need for expensive consultants, web designers, or other outside help. You quickly become the expert! Although you may not be able to legally "find employment" in another country, it's perfectly legal to work on your web site while traveling. And, best of all, you can do it all from anywhere in the world! If you would like to know more about my personal experience with SBI please email your questions to me through this Contact form. If you'd like an income from home or a source of income while traveling, SBI may be just the right solution for you too. You don't even need to have any great ideas or have anything to sell. SBI will help you brainstorm to come up with an information-based web site that will generate income for you without you actually selling anything. Open some doors for yourself! Watch this short video now. You really can be earning income while you travel with your own web site. Just click the SBI image below. You've got nothing to lose and everything to gain!